Toyota’s TRD Pro division is getting a new shape. 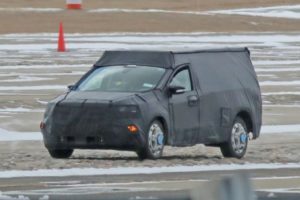 The car manufacturer has prepared three amazing models for this year’s Chicago Auto Show and all three will become available in dealerships before the end of this year. 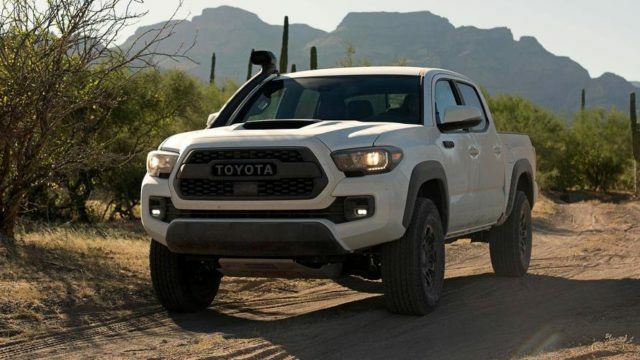 The 2019 Toyota Tacoma TRD Pro seems to carries the biggest number of changes. The popular pickup truck has been equipped with a range of useful features. The awesome off-road workhorse will enrich the cabin with a standard JBL sound system. From the outside, Toyota has added “TRD” red lettering and updated front skid plate. The back of the vehicle is bragging about an all-new and pretty stylish dark chrome exhaust tip. In case you haven’t noticed, the truck is carrying a big snorkel, which supplies the engine with fresh air. Though, the feature is likely just an option, not standard. The biggest deal that regards the 2019 Tacoma TRD Pro is definitely 2.5-inch Fox internal bypass shocks. The Fox shocks will be available with other two models. The trio will also share color options. Meaning, you will be able to choose between Super White, Midnight Black Metallic, and the TRD-exclusive Voodoo Blue. The manufacturer hasn’t changed anything under the hood, so you can expect just a 3.5-liter V-6 which delivers 278 horsepower. 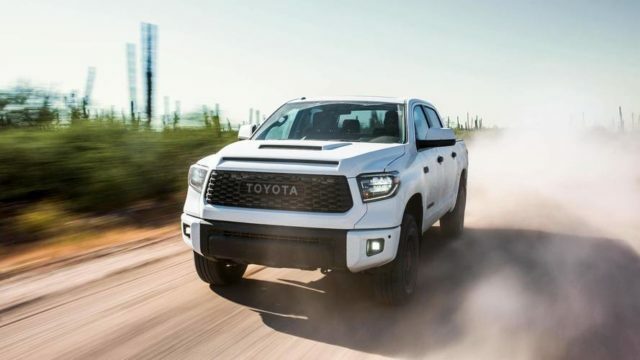 The 2019 Toyota Tundra TRD Pro is getting an additional inch of width for both front and rear track, which will definitely have a positive influence on truck’s stability. The half-ton pickup hosts a number of exterior changes. Up front, it hosts a new grille and a pair of LED headlights (and fog lamps too), as well as a totally cool hood scoop. Around back, the workhorse has got just a “TRD Pro” stamping. It’s also riding on new 18-inch forged aluminum wheels which are wrapped with Michelin P275/65R18 all-terrain rubber. 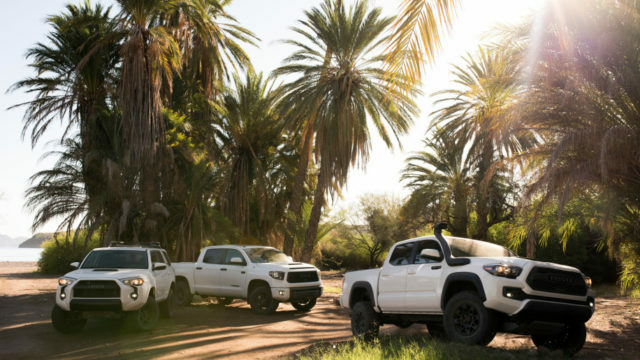 Toyota hasn’t changed anything under the hood, so the 2019 Tundra TRD Pro offers just a 5.7-liter V-8 with 381 hp. Guess what? The 2019 Toyota 4Runner TRD Pro is also coming in Chicago. 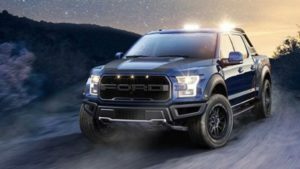 The upgraded off-road SUV will use the same Fox shocks for improved dampening and all three aforementioned color options. It has been paired with 17-inch alloys finished in matte black and mated to Nitto Terra Grappler P265/70R17 A/T tires. 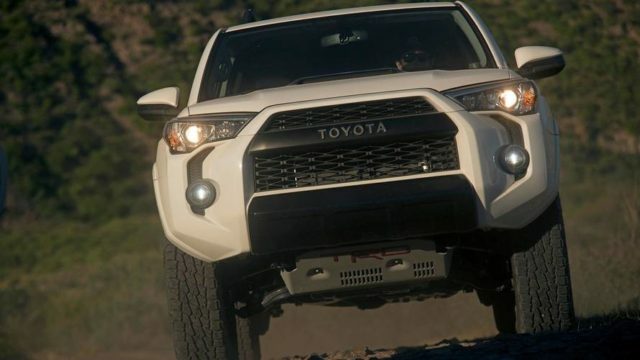 Just like Tacoma, the off-road version of the 2019 4Runner will get a new front skid plate with red “TRD” lettering. There will be no change under the hood. The SUV will continue to exploit a little bit outdated 4.0-liter V-6 which pumps out 270 hp.